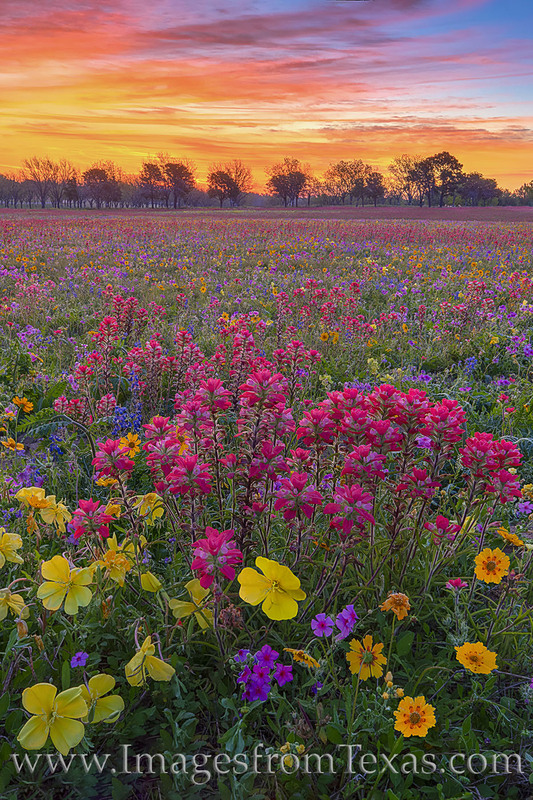 Indian Paintbrush and Missouri primrose add color to a beautiful sunrise in New Berlin, Texas. This rural community is only 30 miles from San Antonio, but on mornings like this when wildflowers are blooming and the call of turkeys can be heard in the distance, the city feels like it is a world away. This wildflower photograph was taken on private land with permission from the owner. Photo © copyright by Rob Greebon.